After the European Parliament plenary vote on the principles of winding down failing banks, the parliamentary Committee on Economic and Monetary Affairs will vote on the mechanism and fund. (EP Audiovisual Services 17-12-2013). During 2014 Europeans will be confronted with at least two major developments. Firstly, the completion of the political control of the EU financial market will materialize during the next year, after the adoption, before March 2014, of the Resolution Board a body like the EU council, which will decide which banks will fail. A second surprise for all Europeans will be that the European Parliament will become more radical following the predictably awkward political results of the European Elections. Let’s take one thing at a time. This politically controlled Resolution Board will ‘evaluate’ the supervisor’s (European Central Bank) proposal for the resolution of a bank, and it will also decide the details for its execution. Despite the strong reaction by the European Parliament President, Martin Schulz, against this ‘untransparent’ body, the truth is that the Economic and monetary affairs (ECON) Committee of the legislative has already accepted its existence and role in a 17 December meeting. On that day the ECON Committee voted that, “The supervisor would be the sole body empowered to propose initiating a resolution. The Resolution Board, composed of national resolution authority representatives and others, would then evaluate this proposal and suggest that the Commission initiate such action. The Commission would then take the official decision to initiate a resolution and the Board would decide on the details for its execution”. 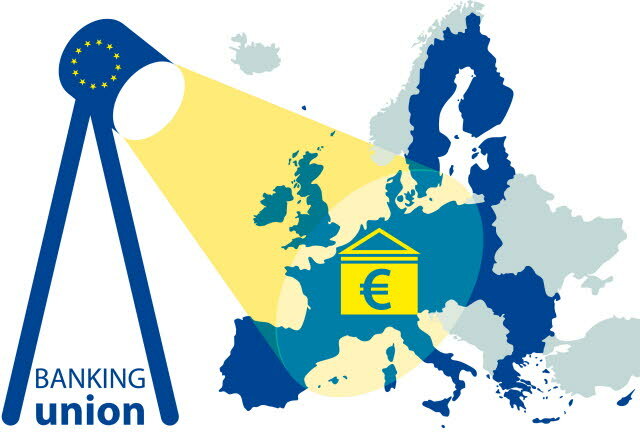 It’s more than certain that the European Banking Union, with the Resolution Board at its center, will be completed before the May 2014 European elections. All the relevant Regulations will be adopted under the tripartite decision-making procedure involving the Commission, the Council and the present Parliament as provided by the European Treaty. Predictably, the next Parliament may be much less receptive to accept the creation of a European Banking Union, where the resolution of failing banks will be decided by a political body resembling the European Council. In view of that, the entire legislative package to complete the Banking Union should be in place during the first months of the New Year. No question that Germany, seconded by France, will be able to guide the decisions of a body like the Resolution Board. This and some other ‘fishy’ reasons have prompted Iceland to abandon the idea of joining the EU. After May 2014 many more MEPs will be of the opinion that the Icelanders are quite right to think like that. This possible development brings about the second issue raised at the introduction of this article; the composition of the next Parliament. The European Sting on various occasions has predicted that the next EU Parliament will be filled with many more extremists, Eurosceptics and harlequins. Understandably, the electoral results in the south of Eurozone will be devastating for the sitting governments. Greece, Italy, Spain and Portugal are expected to elect to Brussels and Strasbourg very different groups of legislators than their current ones. Even France, with Marine Le Pen’s party leading in polls, will elect many Eurosceptic MEPs, compared with almost none today. As for the north EU countries, there also, the nationalistic rhetoric is very strong and even the Finnish national Parliament has grave problems on that account. Last but not least, the bank deposits guarantee schemes agreed on 18 December between the European Parliament and the Council is a clear and early sign of what kind of Banking Union the Eurozone is about to create. According to a Press release issued by the Parliament, “Savings deposits under €100,000 will finally be guaranteed by funds contributed by banks, rather than the taxpayer, thanks to a political agreement struck by Parliament and Council negotiators on Tuesday. This agreement, three years in the making, will govern deposit guarantee schemes to be set up in each member state”. These few lines contain a lie and a truth. The lie is that the “deposit guarantee schemes to be set up in each member state” are already there. As things stand now, all Eurozone member states from Greece to Finland and from Ireland to Cyprus euro area countries operate a deposit guarantee scheme. However, it’s very questionable if those schemes can cover all bank deposits of less than €100,000 for each client in case of a crisis. Given that, what the Parliament and the Council decided was to continue building those schemes but not to mutualise the eventual obligations of those national guarantee schemes. In short, it is still “everyone for himself” in the European Banking Union as far as the deposit guarantee is concerned. Germany and France didn’t want to share the possible obligations of, say, the Italian bank deposit guarantee scheme, in case of crisis. It will be exactly like that also in the case of the bank resolution mechanism. Every euro area member state will continue, for at least the next four to five years, to be responsible for the cost of winding down a bank. Only after the sixth or the seventh year after the initiation of the bank resolution mechanism in 2016 the national systems will start to merge, truly mutualising the cost of winding down a bank. This is true for both the deposit guarantee schemes and the bank resolution mechanism(s). But by then Germany and France would be able to resolve as many banks as they want in certain smaller member states without having to pay a dime for that. All in all, the New Year 2014 will prove that the European Union is not only hesitant to create a common future for all, but this time the big guys might be tempted to destroy the banking systems of the weak, with no cost at all to Germany or France. This is what the next EU Parliament would have never accepted.